Onetime Microsoft exec Blake Irving is expanding GoDaddy’s Seattle office and rewriting its advertising scripts to avoid alienating women. Also, franchisees challenging Seattle’s minimum-wage law get some backing for next week’s appeal. Many things have changed at GoDaddy since CEO Blake Irving stepped into the leadership role in January 2013. The company stopped airing controversial ads with scantily clad women, it expanded its services broadly from its roots as a domain registrar, and it raised $460 million in an April IPO. Now, GoDaddy is expanding in this area, almost tripling its Kirkland engineering office. At 32,000 square feet in two buildings in Kirkland’s Carillon Point, the bigger space has room for 225 employees. 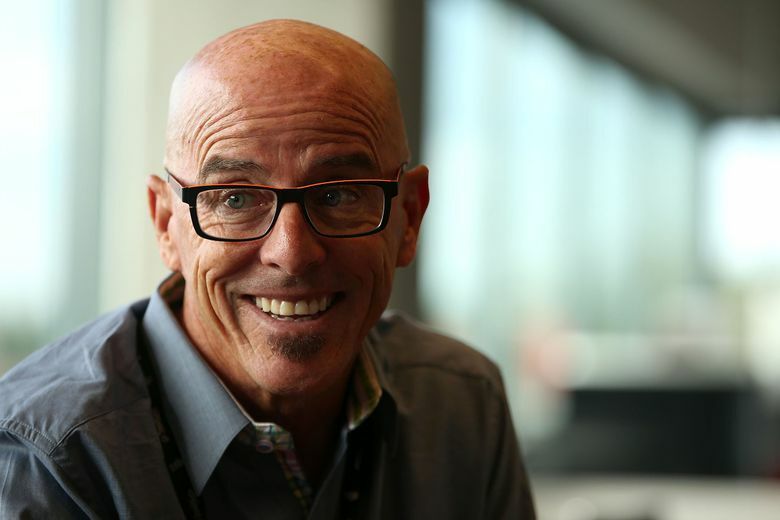 GoDaddy had 14 workers in Kirkland when it first opened two years ago; now it has 127. “Frankly, if we do what we think we’re going to do from a business perspective over the next year, we could have considerably more” than 225, Irving said in an interview. Going public was a way for the company to show people what it really does, he said. GoDaddy has been expanding to become a one-stop shop for technology needs for businesses with between one and five employees. Far from just registering domains, GoDaddy also offers web hosting, email marketing and IT services. Irving also made a “very hard shift in advertising” when he took over. GoDaddy had long been known for its racy Super Bowl ads, many featuring race-car driver Danica Patrick and another with model Bar Refaeli. The ads were criticized for their overtly sexual tones. Irving saw another problem. At the beginning, company founder Bob Parsons knew he had to make a big advertising splash because Internet domains were such an unfamiliar concept, Irving said. Parsons was a “brilliant marketer,” and the advertising certainly did the trick to get the company noticed. But Irving points out that 58 percent of small-business owners in the U.S. are women, and it was time to market to that audience. Besides, the diverse staff that Irving met while interviewing was quite different from the tone the ads struck. GoDaddy’s last Super Bowl commercial with Danica Patrick showed the athlete running through a city in a body builder’s suit. Irving is confident the growing awareness of what the company does will help the business. GoDaddy hasn’t posted a profit since 2009, and last quarter its losses grew to $71.3 million, nearly double from a year earlier. But Irving said he’s happy with the company’s performance in the public market so far — GoDaddy’s shares closed Friday at $25.91, up nearly 30 percent from its IPO price of $20. The company is also undertaking a big international push. 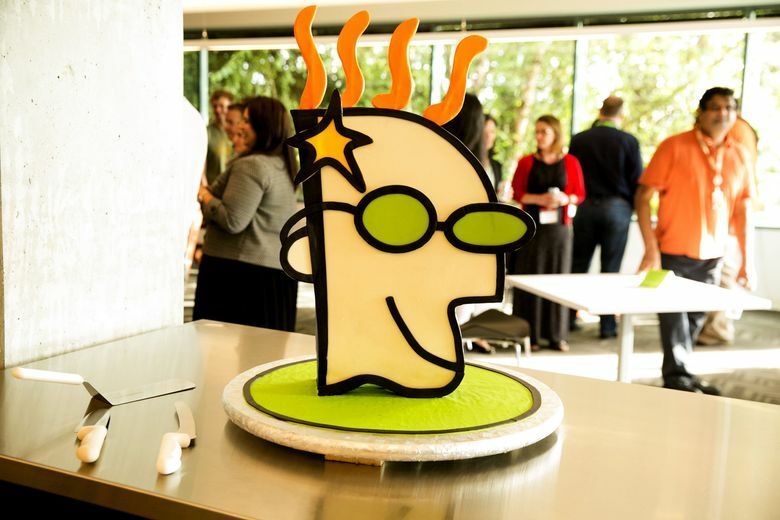 GoDaddy has moved into more than 30 countries over the past 20 months, and plans to expand into Asia next year. Irving would know — he worked at Microsoft for 15 years, where he led the global-cloud platform, overseeing MSN, Live and Hotmail. He moved to Yahoo as chief product officer, then left to surf and be a dad before GoDaddy pulled him out of semiretirement in 2013. The state of Arizona and the U.S. Chamber of Commerce are among those siding with the International Franchise Association (IFA) as it heads into another challenge of the way Seattle’s minimum-wage law classifies franchisees as big businesses that must quickly reach the $15 an hour pay rate. Oral arguments are scheduled for Tuesday, Sept. 1, in Seattle before a three-judge panel of the Ninth U.S. Circuit Court of Appeals for the association’s appeal of a federal judge’s decision denying a preliminary injunction that would have temporarily halted applying that timetable to franchisees. The legal challenge stems from a lawsuit the association, along with five Seattle-area franchisees, had filed in June 2014. The franchise association contends that the minimum-wage law unfairly treats franchisees as large businesses even though they’re independently owned and operated as small businesses. Under the Seattle law, large businesses with more than 500 employees have until 2017 or 2018 to pay their workers at least $15. Smaller employers have until 2021 at the latest. The association had sought a preliminary injunction to prevent franchisees from having to abide by the faster timeline. A number of organizations have filed friend-of-the-court briefs for one side or the other. The state of Arizona, for instance, says that Seattle’s minimum-wage law affects 13 Arizona-based franchisers that have 54 franchisees operating in Seattle. The American Hotel & Lodging Association and Asian American Hotel Owners Association, among others, are also supporting the franchise association. Among those who’ve weighed in to support of the city of Seattle are the state of Washington, Service Employees International Union 775 and the National Employment Law Project.